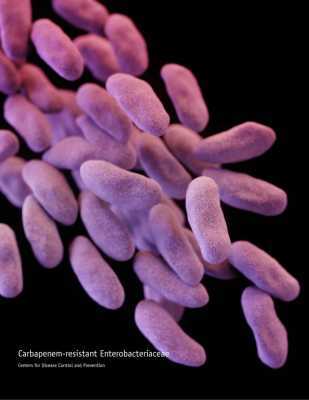 Response: After analyzing the 18 clinical isolates associated with the outbreak using whole genome sequencing, we determined that the infections had been caused by bacteria carrying one of two different antimicrobial resistance (AMR) plasmids with different carbapenemases that were circulating among unrelated bacteria. These findings show that horizontal transfer of antimicrobial resistance genes can occur between otherwise unrelated strains and species of CRE. Response: Although a reservoir was not identified, the WGS revealed that there was not a single source of the CRE and the outbreak represented several importations with subsequent transmission. This reinforces the need for facilities to be vigilant for patients returning from high risk areas and consider screening (e.g., healthcare outside the US in last 6 months). The transmission was controlled following reinstitution of recommended infection control practices, such as implementation of contact precautions and the use of screening for high risk patients. Additionally, this investigation highlights that environmental cleaning is a critical component in infection control efforts, as plasmid exchange can occur in areas of dense bacterial growth, such as in biofilms. Abstract presented at the American Society for Microbiology, June 2018 Atlanta, Georgia. This entry was posted in Author Interviews, Hospital Acquired, Infections and tagged antibiotic resistance, ASM18, bacteria, hospital infections by Marie Benz MD FAAD. Bookmark the permalink. Not sure if this is similar. When I was involved with Antimicrobial Stewardship in 1987, through sending specimens from our hospital to Dr. Eugene and Dr. Christine Saunders, we identified plasmid mediated resistance in Staph infections in patients prescribed Cipro. Cipro was over promoted and used in the community setting and it was affecting our inpatient ability to use in patients who needed a quinolone. We noticed patients being admitted with odd resistance patterns causing resistance to anti-infective we never used in patients.